When it comes to your favourite hot beverage, you’ve got to have a good mug or teacup to go with it - it just tastes better! 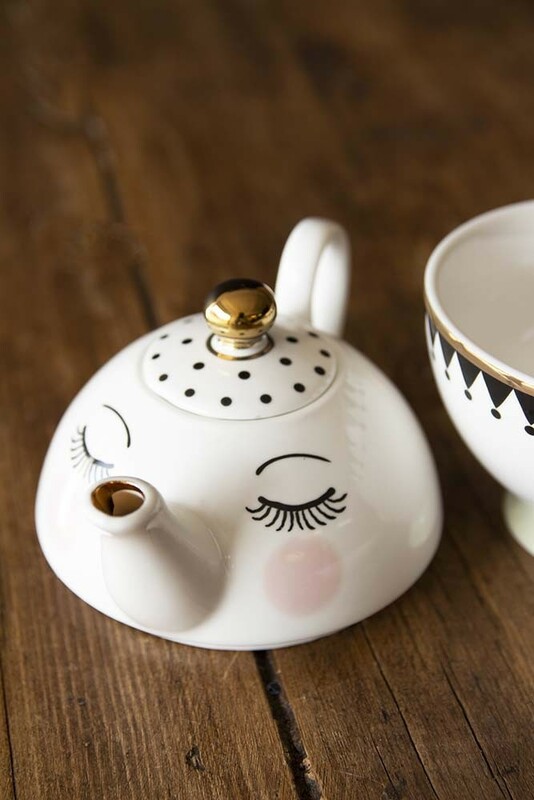 A multi-functional tea accessory the Sleeping Face Tea For One Set is a teapot and a teacup in one! 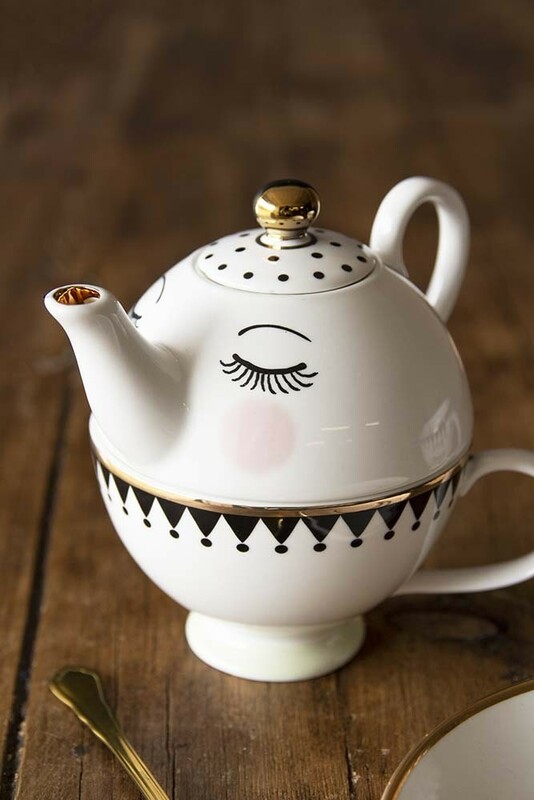 A glamorous crockery piece the Sleeping Face Teapot and Cup features a sleeping face with black and gold detailing, making it the perfect crockery piece for personalised after-dinner tea or coffee! Also available as a Teacup & saucer set or a Sugar pot the Sleeping Face Teapot & Cup is a great gift idea too. So treat that special someone (or yourself) to the beautiful Sleeping Face Tea for One Set!